You know when something is too good to be true? Like a new chocolate that has all your favourite flavours but also happens to be sugar AND fat-free. Sounds familiar, right? But even though this new chocolate sounds like it’s going to change your life forever, somewhere inside you, alarm bells will start to ring no matter how hard you try to fight it. How did they do it? Are they magician chocolatiers or sugar-coated charlatans? Sometimes new ideas and inventions seem too good to be true, making it hard to believe the marketing and sales pitch could actually match reality. But sometimes, and we mean sometimes, a really great idea comes along and really does change our lives. Uber is a great example of this. When was the last time you hailed a taxi instead of reaching in your pocket to summon a chauffeur spirit from the depths of your smartphone? Uber’s taken over, and the taxi industry is scrambling to keep up. That’s why we were super excited to hear that there’s a new app that helps sellers on The Iconic slash 80% of time spent fulfilling orders. We sat down with the app’s creator to see how eCommerce entrepreneurs really can cut shipping times that much. But first, a bit of background to The Iconic. The verdict is out: selling on The Iconic is one of the most lucrative marketplaces for growing businesses. It’s truly a force to be reckoned with, and it’s one of many sharing economy platforms that bring together buyers and sellers of all shapes and sizes. If you’re unfamiliar with the term, online marketplaces are eCommerce sites where products and services are sold by hundreds or even thousands of third-party sellers, and the transaction is managed by the marketplace operator. The Iconic is one of the largest marketplaces in the Australian Retail industry, and have revolutionised the way we shop since 2011 by focusing on seamless and inspiring shopping experiences. They stock over 1000 brands with 60,000 products for men and women, and they attract over 12 million site visitors a month. With such an impressive network, it’s not surprising if you want to open a store on The Iconic before you get to the end of this sentence. Everything will seem too good to be true… until… you try fulfilling orders in the Seller Centre. Brad Younger, founder and creator of IDA Connect developed his app for Iconic sellers because of the difficulty they faced fulfilling and closing orders. Forgetting to deduct orders from The Iconic in your inventory management system can wreak havoc on your visibility into available stock. 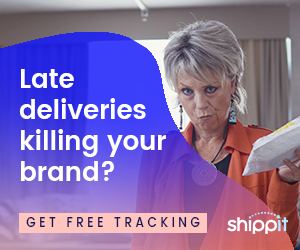 One error means you’ll have to conduct a stocktake because there could be nothing more frustrating for a customer than being told their purchase is actually out of stock (view our webinar on avoiding this here). If you’ve never sold on The Iconic before, then you may not know that any orders received by The Iconic need to be fulfilled on the same day. This is known as a service level agreement, and it’s how The Iconic keeps customers happy. Read more about this in our case study featuring the Australian health care brand KOHLE here. Watch your seller rating decline…. Unfortunately, if you can’t stick to The Iconic SLA, then you’ll disappoint customers and they’ll give you a bad review. If your seller rating drops, you won’t show up in product searches and your business will be hard for new customers to find. Brad Younger created IDA Connect to help Iconic sellers sync their inventory and orders without manual involvement. The connector app reduces 80% of administration time when selling on a marketplace like this. With IDA Connect, there is a simple, three-step process that includes syncing inventory a new order, and then fulfilling the order in the Seller Centre. With this app, as soon as orders are fulfilled in Shopify they’re fulfilled in The Iconic. As eCommerce grows, and more and more marketplaces land on our smartphones, connector apps like IDA Connect will become the backbone of the industry.